BACKGROUND: Immunoglobulin light-chain amyloidosis (AL amyloidosis) is a rare and often fatal disease for which there is currently no treatment approved by the US Food and Drug Administration or the European Medicines Agency. Treatment options, which are typically based on therapies for multiple myeloma and are used off-label, are associated with substantial adverse events (AEs). Because the severity of AEs is often determined by clinicians, evaluations of treatment tolerability may not fully consider patients’ own experience with treatment. OBJECTIVES: To explore the prevalence of AEs and treatment tolerability problems as reported by patients who received therapies for AL amyloidosis, and to examine the effects of AEs on treatment continuation and on health-related quality of life (HRQOL). METHODS: Patients with AL amyloidosis were recruited for this noninterventional, longitudinal, online survey. The patients responded to survey items regarding demographics, disease characteristics, most recent AL amyloidosis treatment, and HRQOL. The study analyses are based on data collected during the 6-month follow-up survey and are restricted to patients who completed the baseline and 6-month surveys and received treatment for AL amyloidosis within 6 months before the follow-up survey. RESULTS: A total of 100 patients met the inclusion criteria and were included in the study. 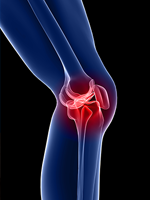 The patients self-reported having a variety of AEs, which ranged in severity. Overall, 69.4% of patients had problems tolerating their treatment in the past 6 months, of whom 22% discontinued at least 1 therapy. In addition, approximately 33% of patients reduced their AL amyloidosis treatment because of AEs. Most often reported AEs included fatigue (83%), shortness of breath (53%), nausea (52%), and diarrhea (51%). Overall, 50% of the patients reported that their treatment was moderately well-tolerated and 41% said it was very well-tolerated. Those whose treatment was not well-tolerated had significantly worse HRQOL than patients whose treatment was well-tolerated. CONCLUSIONS: Patient-reported experiences should be considered by clinicians when making treatment-related decisions. More research is needed to explore additional factors that may contribute to treatment discontinuation in patients with AL amyloidosis. Other studies have focused primarily on the prevalence of grade 3 or higher AEs, which are considered medically significant. Across studies, such AEs were seen in 74% of patients with AL amyloidosis who received lenalidomide, cyclophosphamide, and dexamethasone8; 88% of patients who received melphalan, lenalidomide, and dexamethasone11; and 18% of patients who received melphalan and dexamethasone.12 Together, these data illustrate that rates of severe or life-threatening AEs vary by treatment, but are nevertheless a relatively common outcome of the currently available treatments for AL amyloidosis. Based on this literature, the available treatments for AL amyloidosis are associated with substantial negative effects that have significant implications for patients’ treatment continuation. The reporting of AEs and their consequences are an important first step in providing clinicians with necessary information to facilitate ­informed treatment plans for patients. Nevertheless, significant gaps still exist, specifically with respect to incorporating patients’ perspectives into clinicians’ understanding of the treatment experience. The use of the NCI’s Common Terminology Criteria allows for standardization in determining the severity of AEs,6 but they are entirely clinician-reported. As such, patient-reported information regarding the severity of AEs and their effects on treatment continuation and HRQOL is not readily available. Although clinicians’ assessments of medically significant events are undoubtedly essential to determining the safety profile of a treatment, the way patients experience their treatment must also be studied, because it could have a significant impact on treatment continuation. In addition to the prevalence of AEs, overall reports of treatment tolerability must also be considered when assessing treatment options. 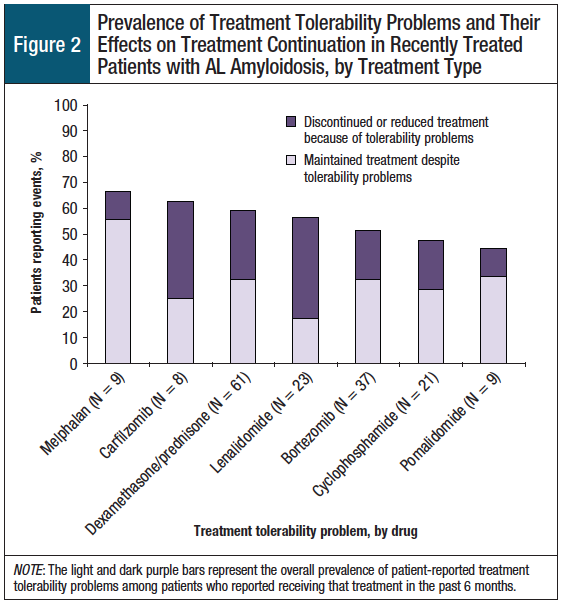 The FDA defines treatment tolerability as the degree to which AEs can be tolerated by subjects,18 a concept that is frequently used to evaluate various treatments for AL amyloidosis.3,19,20 Because much of the treatment-related research in this disease area focuses on clinician-reported grade 3 or higher AEs, assessments of treatment tolerability lack patient input and may underestimate the degree to which mild or moderate AEs negatively affect patients. Taking into consideration these unmet needs, in this study we evaluated the recent treatment experiences of patients with AL amyloidosis. First, we assessed the prevalence of patient-reported AEs and treatment tolerability, with a focus on understanding the effects of poor tolerability on treatment continuation. We also explored poor tolerability, and its associated effects on treatment continuation, as a function of specific treatments. Finally, we examined the association between patients’ assessment of their ability to tolerate treatment and their HRQOL, and the degree to which poor, and even moderate, tolerability could be associated with deficits in well-being. The data for this analysis were drawn from the AL Amyloidosis Patient Health-Related Quality of Life Study,21 an online noninterventional, longitudinal study of patients with AL amyloidosis. The study was approved by the New England Independent Review Board, and informed consent was obtained from all participants. The patients were invited to participate in the study in 2015 via announcements posted on amyloidosis patient advocacy group web pages, on social media sites, and in membership e-mails. A detailed procedure of patient recruitment was previously described.22 Briefly, recruitment materials provided a link to the online survey. Patients first completed an informed consent form and a screening survey. Patients were eligible to participate if they were aged ≥18 years, had been diagnosed with AL amyloidosis by a physician, and were willing to complete the online surveys. The patients who met the screening criteria were automatically directed to complete the initial survey, which 341 patients did. The patients who completed the initial survey were invited to complete follow-up surveys that were administered online every 6 months for 2 years. Patients were provided with a $75 gift card for each follow-up survey they completed. The surveys assessed patient demographic characteristics, disease history, reports of AEs, treatment tolerability, and HRQOL. The analyses reported here were restricted to patients who completed the initial and 6-month follow-up surveys and had received treatment for their AL amyloidosis in the 6 months between surveys (N = 100). Participating patients were provided with a list of 16 different AEs and were asked to indicate whether they had any of these events related to their current or most recent treatment. For each AE they reported, the patients indicated the severity of the event, selecting from 1 of 5 response options (none, mild, moderate, severe, or very severe). The list of AEs was derived through a review of drugs’ labels for common treatment options for AL amyloidosis. 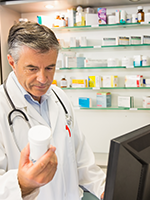 To assess the treatment tolerability of specific medications and their effects on treatment continuation, patients were given a list of common treatment options for AL amyloidosis. Patients chose from 1 of 5 response options to indicate the degree to which they tolerated the treatment, and whether tolerability problems affected treatment continuation (ie, had problems and discontinued treatment; had problems and reduced dosage; had problems and did not change treatment; had no problems; did not receive the treatment). From these items, information regarding the overall prevalence of tolerability problems, the prevalence of tolerability problems for each treatment type, and treatment continuation were derived. Treatment continuation pertaining to stem-cell transplants is not reported in this article. The patients were also given the opportunity to identify other treatments that led to tolerability problems that were not otherwise listed in the survey. These data are not reported, because of the small sample of write-in responses. A single item was used to assess current treatment tolerability, and asked patients to characterize their ability to tolerate their current or most recent treatment as very well-tolerated, moderately well-tolerated, not very well-tolerated, or extremely poorly tolerated. The analyses presented here use a 3-level ordinal variable that combines the not very well-tolerated and extremely poorly tolerated response options. The Optum SF-36v2 Health Survey (SF-36v2) was used to measure HRQOL at the initial and 6-month follow-up data collection time points. The SF-36v2 has 36 items that assess 8 domains of functional health and well-being. The scores on the 8 domains are combined to create a physical component summary and a mental component summary, which provide overall measures of physical and mental health. Both component summary scores are normalized with a mean of 50 and a standard deviation (SD) of 10 based on a nationally representative sample of US adults.23 Higher scores indicate better HRQOL. Descriptive statistics were used to report the overall demographic, disease, and treatment tolerability characteristics (ie, AEs, global assessment of ability to tolerate current treatment, and effects on treatment continuation) of patients with AL amyloidosis. Analysis of variance was used to examine the associations between the physical and mental component summary scores of patients and their ability to tolerate their current or most recent treatment. Statistical significance was evaluated at an alpha level of 0.05. The scores are reported within the context of a general population mean and previously established minimally important differences between groups.23 The minimally important difference thresholds are 2 points for the physical component summary and 3 points for the mental component summary.23 All analyses were performed using SAS version 9.4 (SAS Institute Inc; Cary, NC). The demographic characteristics and information characterizing the patients’ AL amyloidosis (ie, disease characteristics) and treatments for the subgroup of patients who received therapy during the 6 months between the initial and follow-up surveys are shown in Table 1. The mean age of the patients was 61 years (SD, 8.8 years). There were more women (56%) than men (44%) in the study, and the majority of patients were white (89%). Approximately 33% of patients were employed for pay. On average, patients were diagnosed with AL amyloidosis 3.8 years (SD, 3.5 years) before completing the initial survey. The majority (71%) of patients reported multiple organ involvement. The most common organs or systems involved were the kidneys (61%), gastrointestinal system (47%), and heart (46%). Most (90%) patients had received 2 or more treatment series. Approximately 60% of patients reported incomplete or no hematologic response to treatments. 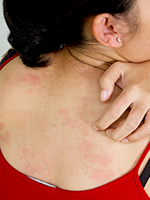 The patients reported they used a variety of different specific treatments, the most common of which were corticosteroids (eg, dexamethasone, prednisone); proteasome inhibitors (eg, bortezomib, carfilzomib), immunomodulatory agents (eg, lenalidomide, pomalidomide), and alkylating agents (eg, melphalan, cyclophosphamide). The patients reported a variety of AEs that they attributed to their AL amyloidosis treatment. Figure 1 summarizes the proportion of patients who had each AE and distinguishes them across the 4 severity levels discussed earlier. Frequently reported AEs included fatigue (83%), neuropathy (55%), shortness of breath (53%), nausea (52%), and diarrhea (51%). The patient-reported severity ranged from mild to very severe for every AE examined, with the exception of rapid weight gain or swelling of the limbs or feet, unusual bleeding or bruising, difficulty swallowing, and sores on the mouth or lip. 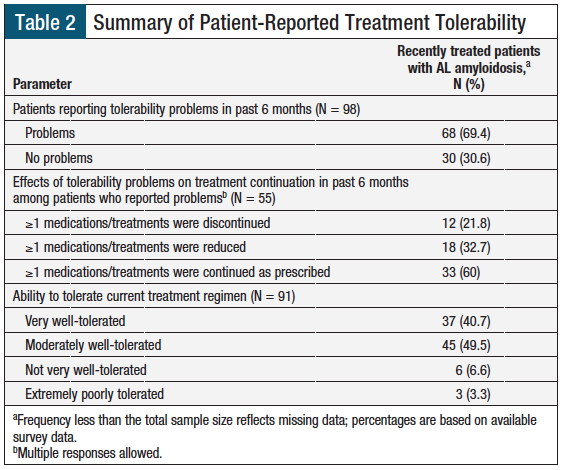 As summarized in Table 2, approximately 69% of the patients indicated that they had difficulty tolerating a specific AL amyloidosis treatment in the past 6 months. Of patients who reported tolerability problems, approximately 22% discontinued at least 1 medication or treatment as a result of tolerability problems in the past 6 months. Approximately 33% of the patients reported a reduced dosage of at least 1 medication or treatment in the past 6 months. Overall, 60% of the patients reported not making a change even to 1 medication or treatment, despite having tolerability problems. When queried regarding their current treatments, 10% of patients reported that their treatment was not very well-tolerated or was extremely poorly tolerated, 50% of the patients reported that their current treatment was moderately well-tolerated, and 41% reported that their current treatment was very well-tolerated. Tolerability problems over the past 6 months were prevalent for many of the often-prescribed treatments. As shown in Figure 2, for 5 of the 7 treatments, at least 50% of patients receiving the treatment had tolerability problems in the past 6 months. These tolerability problems often affected treatment continuation. For example, among patients who received dexamethasone or prednisone in the past 6 months (N = 61), 59% had tolerability problems. Of the patients who received dexamethasone or prednisone, 26% subsequently discontinued or reduced their treatment in response to tolerability problems. Although some treatments, such as lenalidomide and carfilzomib, were associated with a relatively high prevalence of discontinuation or reduction as a result of tolerability problems, other treatments, such as melphalan and pomalidomide, were generally maintained, despite having tolerability problems. Figure 3 shows the SF-36v2 physical and mental component summary scores according to the patients’ current ability to tolerate their treatment. The patients’ treatment tolerability was significantly associated with HRQOL scores (physical and mental scores, P <.05). Although large deficits in physical HRQOL were observed regardless of patients’ ability to tolerate treatment, severe tolerability problems were associated with even greater deficits. More specifically, the patients who could tolerate their current or most recent treatment moderately well had physical scores that were 3 points lower than the scores of patients who could tolerate their treatment very well, a difference that exceeded the 2-point minimally important difference. Patients with the worst tolerability problems had physical scores 7 points lower than the scores of patients who could tolerate their treatment moderately well, a difference that also clearly exceeded the 2-point minimally important difference. The patients who could tolerate their current or most recent treatment very well or moderately well had mental component summary scores that were within the normal range, but significant and clinically meaningful deficits were reported by patients with the worst tolerability levels. The patients with the worst tolerability had mental scores that were 14 points lower than the general population, and 12 points lower than patients who could tolerate their treatment very well or moderately low, which clearly exceeded the 3-point minimally important difference. This study focused on the recent treatment-related experiences of a diverse sample of patients with AL amyloidosis. The results indicate that AEs were common and that patient-reported severity of these events varied across patients. Despite the large number of studies of the prevalence and clinician-assessed severity of AEs associated with AL amyloidosis treatment, a similar focus has not been extended to understanding how patients report such events. The data in this study provide evidence that patients may not evaluate the severity of AEs solely on their medical significance, but may also take into consideration additional relevant factors. Clinicians should be aware of this when discussing with their patients the effects of, and expectations for, certain treatments. In seeking to improve the patient–clinician relationship, it is necessary for clinicians to recognize that patients may perceive the severity of AEs in ways that differ from those that are typically reported in the medical literature. Given the prevalence of AEs, it is not surprising that the majority of patients had difficulty tolerating their treatment in the past 6 months. Treatment discontinuation or dose reduction was a common outcome among patients who had tolerability problems, but more than 50% of the patients who had treatment tolerability problems chose not to modify their therapy for at least 1 medication. Because no treatments are currently approved specifically for AL amyloidosis, and because off-label treatment options are limited for AL amyloidosis, some patients may feel compelled to continue with a treatment regimen, despite its associated adverse effects and tolerability problems. 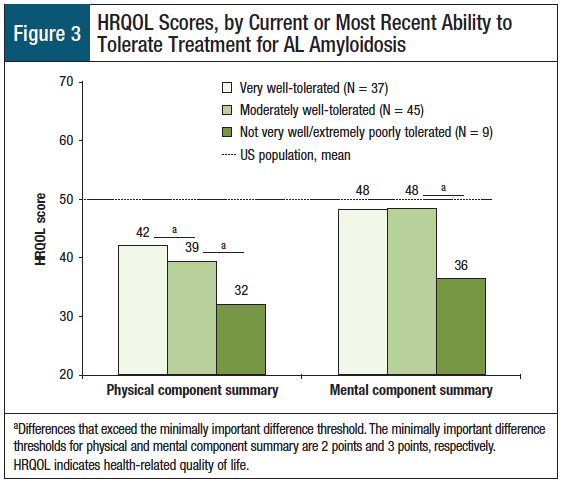 Previous research has demonstrated the burden of AL amyloidosis on HRQOL,5,22 but this study is the first to demonstrate the incremental negative impact that poor treatment tolerability has on patients’ HRQOL, including on their physical and mental health. The majority of AEs that patients with AL amyloidosis had were physical in nature (eg, diarrhea, weight gain, bruising). As expected, incremental deficits in physical well-being were associated with patients’ ability to tolerate current or recent treatments. However, even moderately well-tolerated treatments were associated with clinically meaningful deficits in physical well-being. 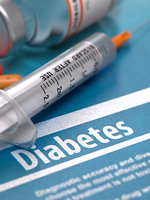 These findings underscore the importance of taking into consideration subclinical treatment tolerability problems, because the data suggest that any difficulty tolerating treatment has the potential to affect patients’ HRQOL negatively. Difficulty with treatment tolerability is also associated with significant and clinically meaningful deficits in mental well-being; the mean mental component summary scores among patients who had the worst tolerability levels were at or below the threshold for clinical depression.23 Because anxiety and depression are common among patients with AL amyloidosis,5,24 the additional effect that treatment tolerability difficulties may have on the mental aspects of HRQOL must be considered by clinicians and patients when making treatment decisions. These data provide the unique ability to describe patient-reported AEs and treatment tolerability problems from a diverse group of patients with AL amyloidosis and varied treatment plans and disease duration. Given how rare this disease is, we were limited by the small number of patients who used each specific treatment during the 6-month interval between the initial and follow-up surveys. Nevertheless, this sample was much larger than some of the AL amyloidosis clinical samples described in the literature. Our study sample did, however, have a smaller overall prevalence of cardiac involvement and a greater prevalence of gastrointestinal involvement than has been previously estimated.4 Overall, the range of ages and diversity of organ involvement reported by patients in our study sample may help to capture a broader array of disease- and treatment-related experiences. Future research should examine patient-specific factors that contribute to a patient’s decision to discontinue or modify a treatment, including factors that are not specifically tied to tolerability problems. Communication between patients and clinicians should be explored to better understand how AEs may differentially contribute to clinician-directed treatment changes and patient-­initiated maladherence. Research is also needed to examine the concordance between patient-perceived and clinician-perceived tolerability problems. Although our study relied entirely on patients’ perceptions of tolerability, understanding differences between patients’ and clinicians’ evaluations may ultimately improve communication and help clinicians to better understand the patient experience. Future research should also investigate how individual preferences and expectations for treatment efficacy contribute to treatment continuation or lack of adherence, because patients may continue with a treatment regimen if it has an enhanced chance of successfully treating the disease, despite its associated AEs. Such AEs, however, may result in increased rates of discontinuation when they are associated with a treatment that has a limited chance of success. 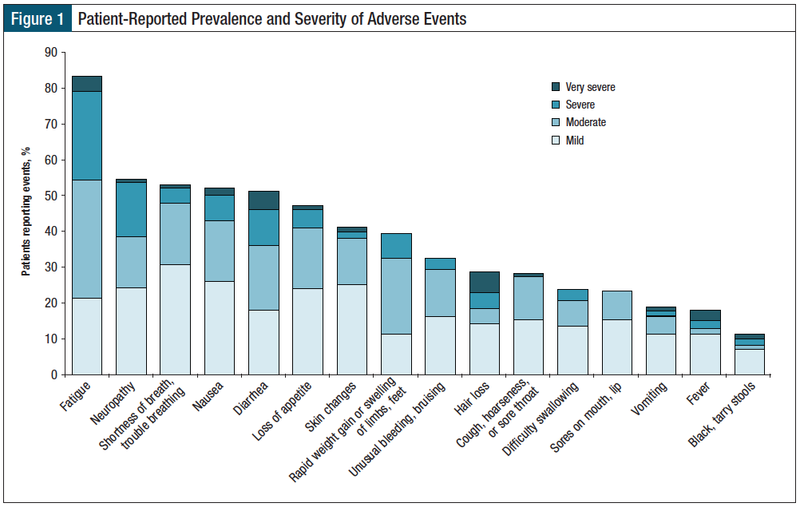 Treatment continuation could also be moderated by disease severity, regardless of tolerability problems, because research has indicated that compared with healthy individuals, patients with cancer are more willing to accept a hypothetical situation involving toxic treatments associated with a low probability of success.28 As such, under certain situations, patients may reevaluate the point at which tolerability problems may lead to treatment discontinuation. For other patients, however, AEs may be perceived as causing greater impairment than the symptoms of the disease itself. These perceptions may contribute to patients’ decisions to reduce or discontinue a treatment plan, even if alternative treatment options are not readily available. This study has several limitations. Despite the similarities in demographic characteristics between the study sample and the wider population of patients with AL amyloidosis, our study sample cannot be interpreted as being representative of the overall population of patients with this disease. Some of the observed differences in patient characteristics are likely a result of the recruitment strategy and study design. Younger patients may be more engaged in online communities, which served as the primary recruitment source for the study, or may be more comfortable or willing to fill out an online survey, contributing to the age difference noted above. Alternatively, the age of our sample could reflect trends in achieving early diagnosis as clinicians become better equipped to recognize the symptoms of AL amyloidosis. Furthermore, it is likely that the study sample represents a slightly healthier cohort of patients than would be observed in the overall population of patients with AL amyloidosis, because patients who are hospitalized or acutely ill would not elect to participate in an online survey. Similarly, patients who had the worst tolerability problems may feel too sick to complete the survey, which might have led to the underestimation of tolerability problems in the current study. When comparing the patients who did not respond to the follow-up survey (but had completed the initial survey) with those who did respond, a larger proportion of nonresponders reported that their heart was the most affected organ and/or that they had no hematologic response to treatment at baseline. This provides additional evidence to suggest that the sickest patients may not be represented in our data. More research with a larger sample size may be required to provide more insight into the patient experience, because the sample size limitations are particularly prevalent when studying a rare disease such as AL amyloidosis. Continued exploration of AL amyloidosis will lend needed insight into the way in which patients with this disease evaluate information and make treatment-related decisions. As experts focus on the development and/or improvement of treatments for rare and orphan diseases, AEs and treatment tolerability should remain a critical consideration. The introduction of more effective and tolerable treatments for AL amyloidosis has the potential to increase treatment continuation, which may, in turn, increase long-term survival and improve patient well-being. In working toward this goal, it is increasingly important to incorporate the patient experience using patient-reported evaluations. This study was funded by Prothena Biosciences Inc.
Dr Rizio, Dr White, Dr McCausland, and Ms Bayliss are employees of Optum, which received funding from Prothena Biosciences to conduct the study; Dr Yokota and Mr Guthrie were employees of Optum during the study; Dr Quock is an employee and stockholder of Prothena Biosciences. Dr Rizio is Scientist, Optum, Johnston, RI; Dr White is Senior Scientist, Optum; Dr McCausland is Scientist, Optum; Dr Quock is Senior Medical Director, Head of Medical Affairs, Prothena Biosciences, South San Francisco, CA; Mr Guthrie is Vice President, Global TTR Strategy, Akcea Therapeutics, San Francisco, CA; Dr Yokota is Professor, National Institute of Technology–Hachinohe College, Japan; Ms Bayliss is Principal Consultant & Vice President of Patient Insights, Optum. Pinney JH, Hawkins PN. Amyloidosis. Ann Clin Biochem. 2012;49(pt 3):229-241. Sanchorawala V. Light-chain (AL) amyloidosis: diagnosis and treatment. Clin J Am Soc Nephrol. 2006;1:1331-1341. Mahmood S, Palladini G, Sanchorawala V, Wechalekar A. Update on treatment of light chain amyloidosis. Haematologica. 2014;99:209-221. Merlini G, Wechalekar AD, Palladini G. Systemic light chain amyloidosis: an update for treating physicians. Blood. 2013;121:5124-5130. Lin HM, Seldin D, Hui AM, et al. The patient’s perspective on the symptom and everyday life impact of AL amyloidosis. Amyloid. 2015;22:244-251. Department of Health and Human Services; National Institutes of Health; National Cancer Institute. Common Terminology Criteria for AEs (CTCAE). Version 4.03. NIH Publication No 09-5410. Revised June 14, 2010. https://evs.nci.nih.gov/ftp1/CTCAE/CTCAE_4.03/CTCAE_4.03_2010-06-14_QuickReference_5x7.pdf. Accessed September 11, 2017. Dispenzieri A, Lacy MQ, Rajkumar SV, et al. Poor tolerance to high doses of thalidomide in patients with primary systemic amyloidosis. Amyloid. 2003;10:257-261. Kumar SK, Hayman SR, Buadi FK, et al. Lenalidomide, cyclophosphamide, and dexamethasone (CRd) for light-chain amyloidosis: long-term results from a phase 2 trial. Blood. 2012;119:4860-4867. Comenzo RL, Sanchorawala V, Fisher C, et al. Intermediate-dose intravenous melphalan and blood stem cells mobilized with sequential GM+G-CSF or G-CSF alone to treat AL (amyloid light chain) amyloidosis. Br J Haematol. 1999;104:553-559. Jaccard A, Moreau P, Leblond V, et al; for the Myélome Autogreffe (MAG) and Intergroupe Francophone du Myélome (IFM) Intergroup. High-dose melphalan versus melphalan plus dexamethasone for AL amyloidosis. N Engl J Med. 2007;357:1083-1093. Sanchorawala V, Patel JM, Sloan JM, et al. Melphalan, lenalidomide and dexamethasone for the treatment of immunoglobulin light chain amyloidosis: results of a phase II trial. Haematologica. 2013;98:789-792. Palladini G, Milani P, Foli A, et al. Oral melphalan and dexamethasone grants extended survival with minimal toxicity in AL amyloidosis: long-term results of a risk-adapted approach. Haematologica. 2014;99:743-750. Reece DE, Hegenbart U, Sanchorawala V, et al. Long-term follow-up from a phase 1/2 study of single-agent bortezomib in relapsed systemic AL amyloidosis. Blood. 2014;124:2498-2506. Dispenzieri A, Buadi F, Laumann K, et al. Activity of pomalidomide in patients with immunoglobulin light-chain amyloidosis. Blood. 2012;119:5397-5404. Hegenbart U, Bochtler T, Benner A, et al. Lenalidomide/melphalan/dexamethasone in newly diagnosed patients with immunoglobulin light chain amyloidosis: results of a prospective phase 2 study with long-term follow up. Haematologica. 2017;102:1424-1431. Specter R, Sanchorawala V, Seldin DC, et al. Kidney dysfunction during lenalidomide treatment for AL amyloidosis. Nephrol Dial Transplant. 2011;26:881-886. Madan S, Kumar SK, Dispenzieri A, et al. High-dose melphalan and peripheral blood stem cell transplantation for light-chain amyloidosis with cardiac involvement. Blood. 2012;119:1117-1122. US Food and Drug Administration; Expert Working Group (Efficacy) of the International Conference on Harmonisation of Technical Requirements for Registration of Pharmaceuticals for Human Use. Guidance for industry: E9 statistical principles for clinical trials. September 1998. www.fda.gov/downloads/drugs/guidancecomplianceregulatoryinformation/guidances/ucm073137.pdf. Accessed September 7, 2017. Merlini G, Seldin DC, Gertz MA. Amyloidosis: pathogenesis and new therapeutic options. J Clin Oncol. 2011;29:1924-1933. Quality of Life (QOL) Registry for Patients With AL Amyloidosis. NCT02574676. https://clinicaltrials.gov/ct2/show/results/NCT02574676?view=results. Accessed September 11, 2017. Bayliss M, McCausland KL, Guthrie SD, White MK. The burden of amyloid light chain amyloidosis on health-related quality of life. Orphanet J Rare Dis. 2017;12:15. Maruish ME, ed. User’s Manual for the SF-36v2 Health Survey. 3rd ed. Lincoln, RI: QualityMetric; 2011. Smorti M, Guarnieri S, Bergesio F, et al. Anxiety and depression among amyloid light-chain cardiac amyloidosis patients: the role of life satisfaction. Eur J Cardiovasc Nurs. 2016;15:269-275. Kyle RA, Linos A, Beard CM, et al. Incidence and natural history of primary systemic amyloidosis in Olmsted County, Minnesota, 1950 through 1989. Blood. 1992;79:1817-1822. Shu J, Lo S, Phillips M, et al. Depression and anxiety in patients with AL amyloidosis as assessed by the SF-36 questionnaire: experience in 1226 patients. Amyloid. 2016;23:188-193. Falk RH, Comenzo RL, Skinner M. The systemic amyloidoses. N Engl J Med. 1997;337:898-909. Slevin ML, Stubbs L, Plant HJ, et al. Attitudes to chemotherapy: comparing views of patients with cancer with those of doctors, nurses, and general public. BMJ. 1990;300:1458-1460.